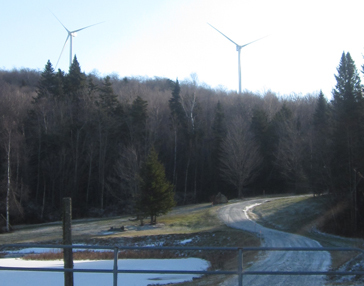 Wind Farm Noise Impact Assessment | Resource Systems Group, Inc. 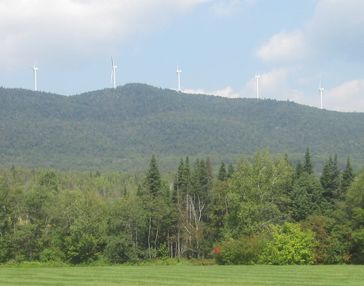 The Green Mountain Power Kingdom Community Wind project is a 21-turbine, 64-MW wind farm in northeastern Vermont. RSG was retained to conduct background sound monitoring and prepare sound propagation models of the wind development during the project permitting phase. The modeling done for the project involved standard engineering methods to estimate the maximum one-hour average sound level, but it also included an analysis of annual average sound levels based on a proprietary model of hourly meteorological data. The modeling incorporated an analysis of the impact of noise-reduced operating modes during select weather conditions. After issuing its noise report, RSG provided testimony during Public Service Board hearings. Following the issuance of a Certificate of Public Good (CPG) and construction of the project, RSG was retained to provide nine two-week compliance sound monitoring studies spread over two years. During these studies, sound monitoring systems, which include primary and background sound monitors and meteorological instruments, were set up at four locations around the project area. The reports include analyses of background-corrected turbine sound levels using two methods and tonality for comparison to the CPG conditions.